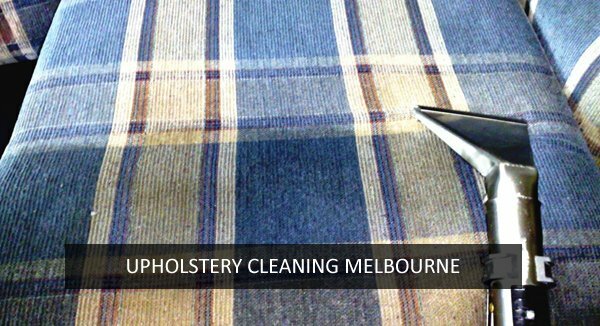 Need Upholstery Cleaning Dandenong ? Don’t clean your couch before calling us. Dandenong’s best couch cleaning, lounge cleaning, sofa cleaning, leather & fabric upholstery steam cleaning & scotchgard protection services. Call 0428 784 299 to book same day couch cleaners anywhere in Dandenong. 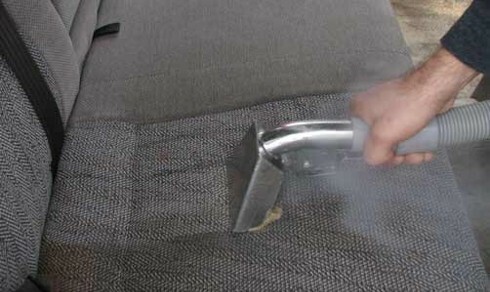 Our standard upholstery steam cleaning service is most cost effective. We offer upholstery cleaning services straight your door anywhere in Dandenong weather you are eastern suburbs, western suburbs, southern or northern suburbs. Following included in our lounge cleaning services. We are the upholstery cleaning specialists of Dandenong! Our clients have loved Master Cleaners for more than two decades now and their unshakeable trust in our services motivates us further to provide veracious cleaning services. Our first concern is to please our customers and have them absolutely satisfied with our cleaning services. For this reason, we invest in our biggest assets cleaners and technology and keep upgrading both of them! Our technology gets improved with time and our cleaners undergo continuous training to learn how this modern technology can become their second-in command to complete their cleaning task. Upholstery cleaning is one of our forte and Master Cleaners specialize in all kinds of fabrics for upholstery. Whether you have wool, synthetic, microfiber, linen, cotton, vinyl, silk, cotton blend, or leather our expert cleaners have knowledge and experience to handle all types of upholstered furniture. Now, you can get your Leather couch cleaning, Leather couch Repairing, chairs, tables, couches, sofas everything cleaned by professionals in no time. And Master Cleaners ensures that all this costs a very minimal price, considering the amount you have spent on your valuable upholstery. Along with couch steam cleaning, we also offer couch dry cleaning services depending on the type of your upholstery fibre. The team of our upholstery cleaners will first inspect couch fibre, and then start to determine the right cleaning method for your upholstery. First of all, we vacuum your couches for the removal of loose dirt and debris from the couch fibre. 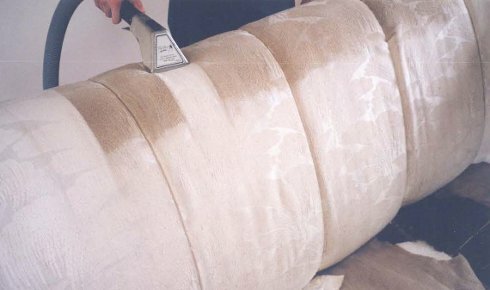 Then a dry cleaning solvent is applied to your couch fibre, which is agitated into the fibre. Then after a few minutes, the dry cleaning solution is extracted from your couch using a heavy duty vacuum. At last, we deodorise your upholstery for the removal of damp and stale odours. You might ask yourself why do I need paid upholstery cleaning? My maid cleans the upholstery every day. Well, you are not alone in having those thoughts as many people think that cleaning upholstery at home is more than enough to keep it clean. But unfortunately, this is far away from the factual truth. Upholstered items attract not just dirt but other contaminants too. And allergens, bacteria, fungi, dust mites find it easy to live in the fabric of your upholstery as it provides them breeding environment for growth. They get plenty of things to eat and grow with in your upholstery grease, human body oil, skin flakes, and residues of the spills. Do you like all those stains on your lovely couch? Won’t you be more pleased to see them gone permanently? Our couch cleaning ensures that you will get spotless couch with our services. 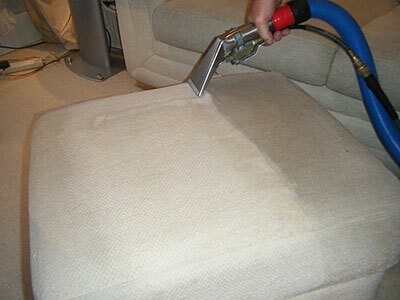 Cleanliness is the main benefit of upholstery cleaning Cleanliness that goes deep within. If you wish to see completely cleaned upholstery then look no more than Master Cleaners. Our cleaning process break down the soils and do not let it say, thereby protecting the fabric of the upholstery. So you get rid of stains, odors, and all kind of contaminants. Why Choose Master’s Upholstery Cleaning Dandenong? Master Couch Cleaning Dandenong has a complete range of cleaning solutions for your domestic as well as commercial properties. Our service palette includes duct cleaning, rug cleaning, carpet cleaning, mattress cleaning, tile and grout cleaning, end of lease cleaning, bond back cleaning, pet stain removal, odor removal, curtain and blind cleaning, Pet smell couch cleaning and rug laundry in all suburbs of Dandenong.